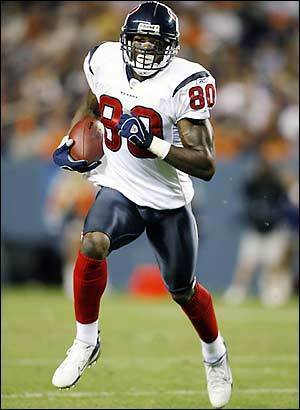 Well, it’s official: Texans receiver Andre Johnson wants out of Houston. One would assume the move will be good for Johnson in the short-term but bad for all Houston position players. Tampa rookie tight end Austin Seferian-Jenkins should be ready for the season but will be behind thanks to late graduation. He’s also recovering from a stress fracture surgery earlier this off-season. ASJ could be a good sleeper pick in your rookie dynasty drafts as he could develop into a prime red zone target. Expect Lions defensive end Ziggy Ansah to be moved around more along the defensive line which should free him up to get to the passer. Ansah had a decent rookie year and should progress even more. This entry was posted in Daily Update and tagged andre johnson, austin seferian-jenkins, ezekiel ansah, ziggy ansah. Bookmark the permalink.